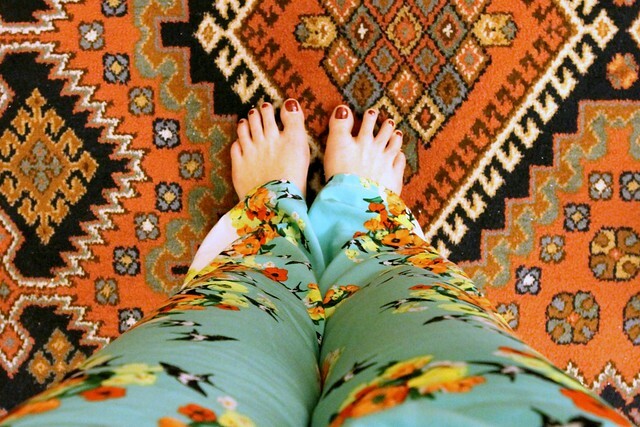 jamas4, originally uploaded by Lazy Seamstress. 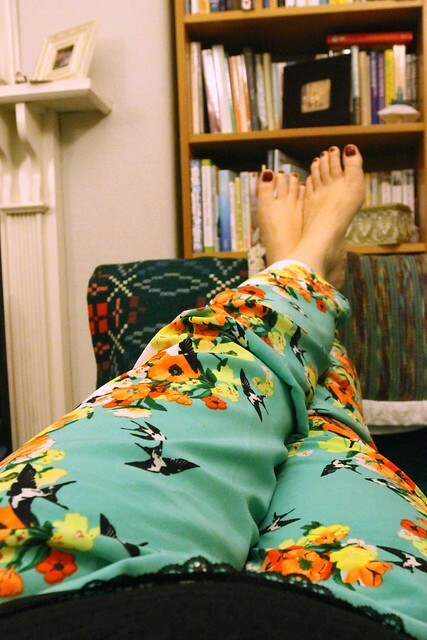 Do you know how hard it is to take photographs of pyjama trousers yourself? 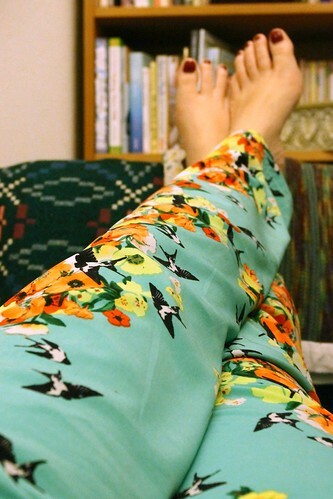 These are super simple lounge pants with elasticated waist, and no other details. 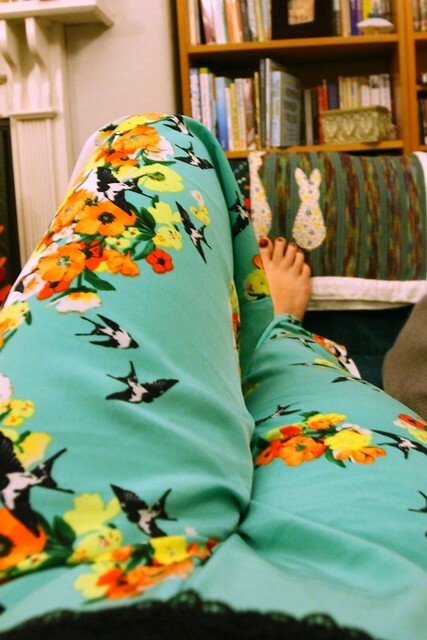 I took full advantage of the gorgeous printed fabric and whipped up this pair in about ten minutes, hardly worth blogging even! Although, they are effective like this, thanks to the lovely drapey printed fabric, I think I am now regretting not adding a deep hem cuff in a complimentary fabric, and similar waistband with a pretty ribbon tie, that would have made them extra special. Meanwhile, I'm pretty happy, they feel lovely on, and pass for casual day wear, at least around the house. I think you did a great job with the photos and I absolutely love the fabric! Thank you Zoe, the fabric is gorgeous.